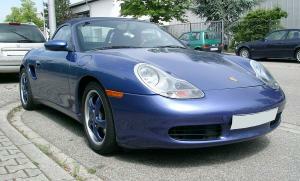 A Porsche Boxster that was stolen after a raid at a car dealership near Yeovil has been found in Langport. Police reported that between Saturday 5 July and Monday 7 July thieves removed a window at the Northover-based car showroom and once inside stole the keys to several vehicles. The culprits then removed the security barriers and drove away in the German sports car, which was later found but the robbers are yet to be tracked down. Reports of break-ins such as this often highlight the multi-faceted benefits of a good quality combined motor trade insurance policy. First and foremost this will offer cover to the vehicles that are stored on site should they get damaged or stolen. Furthermore, it can also protect damage to the businesses premises – should windows or gates be smashed or removed – as well as providing cover for tools and equipment inside. The story also illustrates the dangers of storing all the keys for the company’s vehicles in one place. Using risk management experts – a consultancy service which Bollington can provide – you can implement best practice security measures to ensure risks are kept at a minimum, thus possibly bringing down the cost of your motor trade insurance in the process. Police in Yeovil are urging anyone with any information about the weekend’s robbery, in which a blue Porsche Boxster S was stolen and then abandoned, to come forward. You can call PC Matt Lorimer online or by calling 101, quoting the incident reference number 68749/14. Alternatively, if you want to remain anonymous, please contact Crimestoppers on 0800 555 111 or through their online form at www.crimestoppers-uk.org.